The Vain Conversation had such an impact on me that I can barely think of the words that I want to use to describe it. I think it needs to be read by middle school and high school children and their parents so that they can have an open dialogue in their homes about race. Even though the book is set mainly in 1946, it still resonates in today's racial problems in this country. Here is the synopsis: Inspired by true events, The Vain Conversation reflects on the 1946 lynching of two black couples in Georgia from the perspectives of three characters--Bertrand Johnson, one of the victims; Noland Jacks, a presumed perpetrator; and Lonnie Henson, a witness to the murders as a ten-year-old boy. Lonnie's inexplicable feelings of culpability drive him in a search for meaning that takes him around the world, and ultimately back to Georgia, where he must confront Jacks and his own demons, with the hopes that doing so will free him from the grip of the past. The perspectives of each of the three main characters tell the same story but it is different based on their belief system. Betrand had just come back from WWII where he helped liberate a concentration camp and fought to keep America free. He felt that once the war was over he would be respected as a black man in American. Jacks, a farm owner who employed many black workers, was a victim of the belief system of Georgia at this time. And Lonnie, a 10-year-old boy, who felt that Betrand was his friend and mentor, who never realized that hatred like this really existed, was set on a path of wandering the world looking for what would make his life right again because of what he witnessed. The cruelty and the hatred in this book are difficult to read but need to be read and understood - not just in the perspective of 1946 and also for the understanding of racial inequality that exists in 2017. This is a must read book! 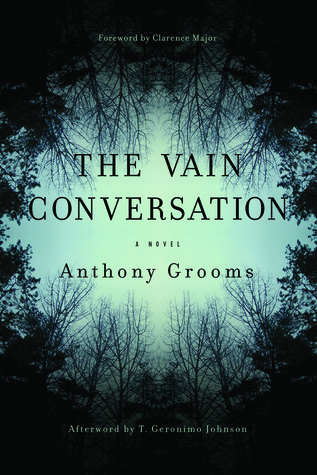 Anthony Grooms grew up in rural Virginia. His education at the College of William and Mary and George Mason University led him to a teaching career in Georgia, where since 1995, he has taught creative writing and literature at Kennesaw State University and directs its M. A. in Professional Writing Program. He is the author of Ice Poems, Trouble No More: Stories and Bombingham, a novel. His stories and poems have been published in Callaloo, African American Review, Crab Orchard Review, and other literary journals and anthologies. 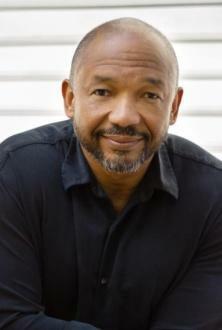 Writing in MELUS, a critical journal of multi-ethnic literature, Professor Diptiranjan Pattanaik said that Trouble No More demonstrates “the insider’s profound knowledge of the history and struggles of African Americans, while consistently managing to circumscribe a breadth of understanding with a tender story-telling art.” Reviewing Bombingham for the Washington Post, critic Jabari Asim wrote, "In its insistence that 'the world is a tumultuous place and every soul in it suffers,' this powerful, resonant novel offers no consolations. Grooms offers consolation, however, in allowing us to be present at the emergence of a brave and promising talent.” Grooms is a Fulbright Fellow, a Yaddo Fellow, a Hurston-Wright Foundation Legacy Award finalist, an Arts Administration Fellow from the National Endowment for the Arts, and the recipient of two Lillian Smith Awards from the Southern Regional Council.